At RB Family & Cosmetic Dentistry, your oral health is important to us. 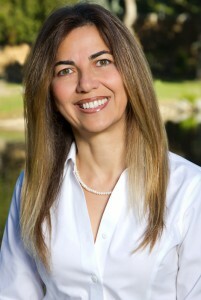 As a leading dentist in Rancho Bernardo, Dr. Mary Afzali also attracts patients from San Diego Poway, Carmel Mountain and many other neighboring communities. Our Rancho Bernardo dental practice provides an array of cosmetic and restorative services that rebuild function and improve the beauty of your smile. With over 25 years of experience, Dr. Mary Z. Afzali and our entire dental staff care for your family’s oral health with quality, personalized treatment plans that fit your budget, create beautiful smiles, and build confidence . Our professional dental team makes every effort to provide you with a comfortable experience at each visit. We take the time to listen to your concerns and discuss your smile goals. Our San Diego dental team of Dr. Afzali and Dr. Sanford offers an array of procedures to help customize treatment, no matter your age or needs. From pediatric services and dental care for seniors to sedation dentistry, we individualize your treatment and include the least intrusive procedures to improve your overall oral health and function. We accept most insurance plans, major credit cards, cash and personal checks. In an effort to provide affordable dentistry to those without dental insurance, R B Family & Cosmetic Dentistry offers flexible payment plans with an in-house dental plan for non-insured patients. Our accounting staff is available to answer your questions and discuss your options. R B Family & Cosmetic Dentistry welcomes patients from age one to 100. Our San Diego dentists are experienced in caring for your oral health needs, from developmental concerns to the effects of medications and systemic diseases, We examine primary teeth and oversee the development of adult teeth through our pediatric dental services. We help parents teach children to brush and floss properly and provide preventive care with fluoride and sealants to help patients maintain healthy teeth for a lifetime. As our patients age, we stay up-to-date with their medical history to watch for changes in teeth, gum, and bone health. Wheelchair accessible, R B Family & Cosmetic Dentistry provides convenient dental care for the Rancho Bernardo senior community. Our multilingual team speak Spanish, Tagalog, and Persian to help provide quality dental care to patients in their native language. Our San Diego dental office is located at 16776 Bernardo Center Drive, Suite 105 in San Diego, CA across from the Chevron gas station. Located in the Rancho Bernardo community, we are a convenient drive for patients coming from Poway and Carmel Mountain. Rancho Bernardo dentist, Dr. Mary Afzali DDS is a dental professional dedicated to general, family, and cosmetic dentistry with services including dental exams, dental makeovers, invisalign, TMJ, teeth whitening, veneers, crowns, x-rays, cleanings, and more. Please call our dentist in Rancho Bernardo, CA to schedule your next appointment.